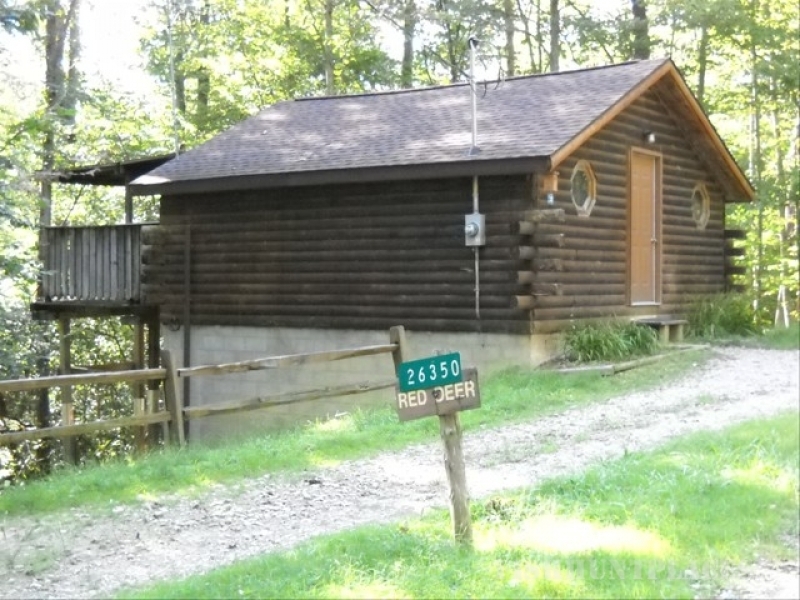 Private and secluded cabin rentals in the Hocking HillsRegion of Southeast, Ohio. We feature three log cabins ideal for weekend or weekday stays. Watch the Ohiowhitetail deer pass by your cabin while relaxing in your hot tub. Our cabins are the place to stay inHocking Hills for romantic getaway weekends, family vacations or just a weekend getaway. Relax in your cabin with hot tub or travel to several Ohio State Parks and nature areas in the Hocking Hills State Park system to experience many outdoor recreational activities near our cabins. Hike the trails of Old Man's Cave and Cedar Falls. Or experience birding and fishing at Lake Logan State Park. Prepare meals in your cabin kitchen or visit one of the restaurants and diners located nearby. There are a variety of family and fine diningrestaurants, take-out, drive-thru establishments located in nearby Logan, Ohio. Try Jack's Steak House in Logan, Ohio. Just a short drive from our cabins and Old Man's Cave. Greatest steaks in the Hills. While in the Hocking Hills be sure to visit local shops to find hard to find gifts and antiques. We have several craft malls, antique stores and several specialty shops located in Logan,OH and the surrounding areas. Visit the Hocking Hills Farmers Flea Market in search of antique furniture and collectibles. On your way to DeerWatch Cabins, be sure to stop by the Hocking Hills Tourism Association to find local area maps and ask about local Hocking Hills attractions. Request a travel guide and discover things to do inHocking Hills.